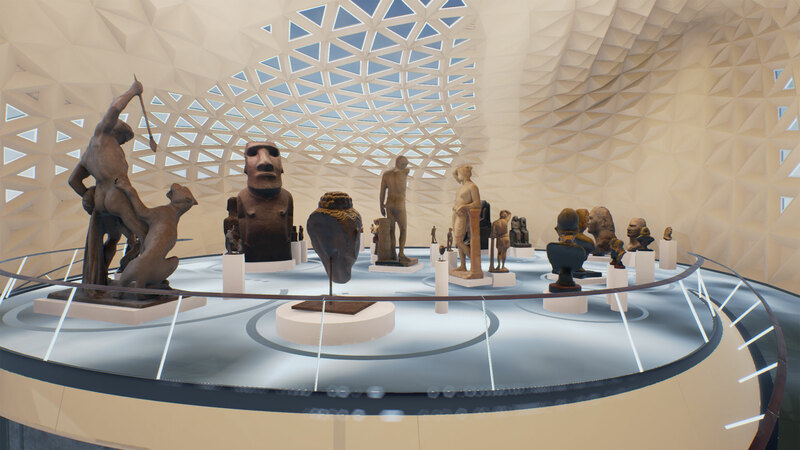 ​The ​Virtual Hall is a multi purpose exihibition space designed with Grasshopper for Rhino 3D. 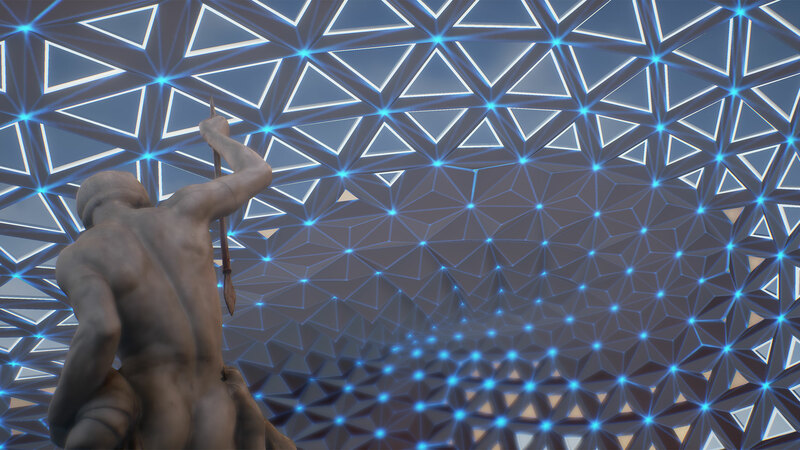 It is a parametric dome with a triangular structure based on real physics. 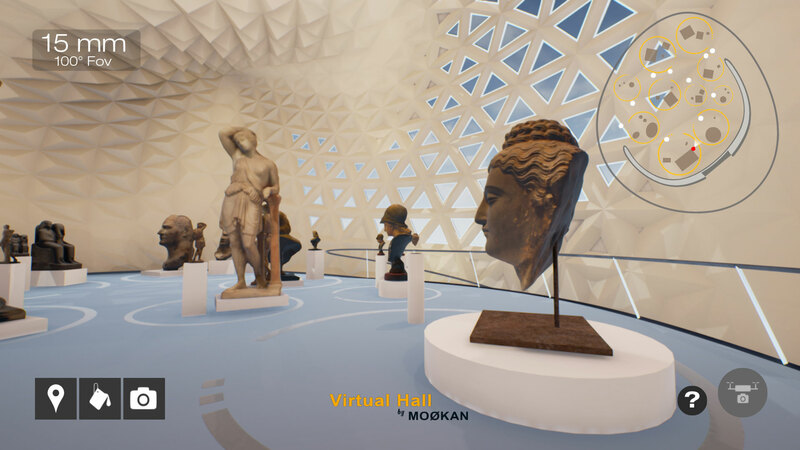 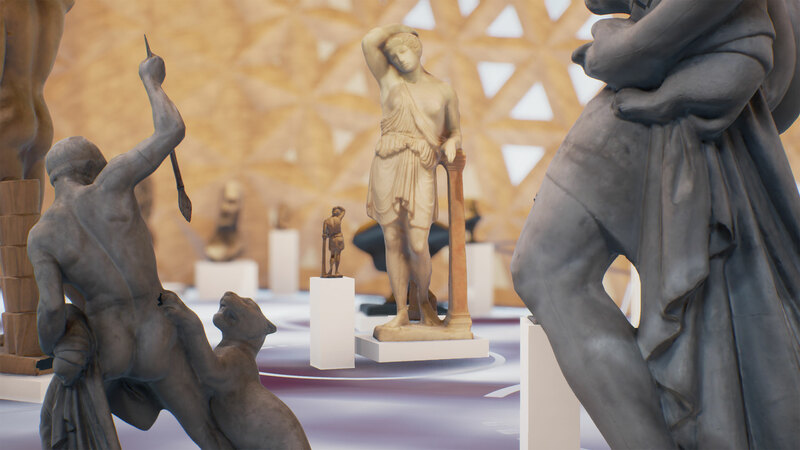 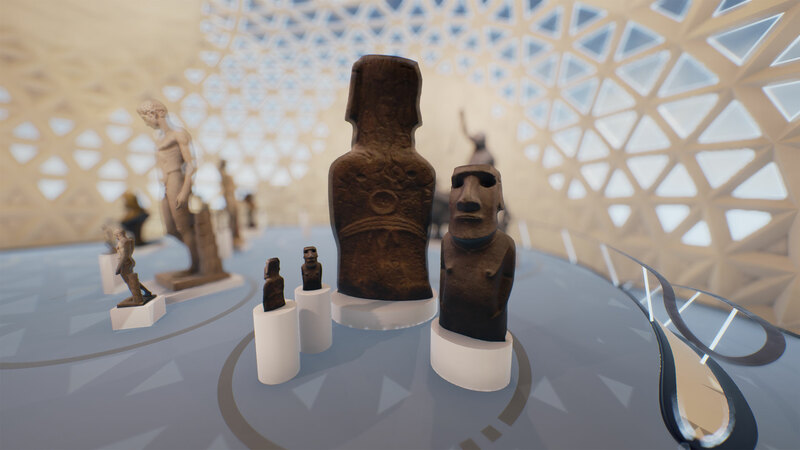 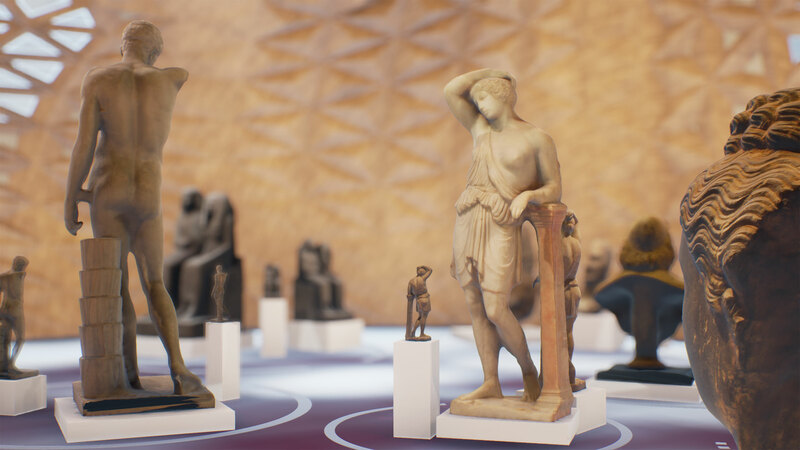 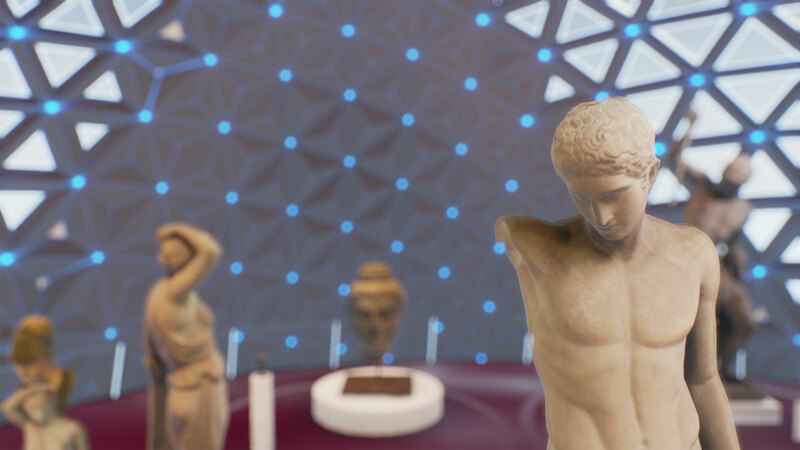 In this demo the free plan exhibit space is colonized with a collection of sculptures from Sketchfab that have been rebuilt and optimized with multiple levels of details for real time rendering. 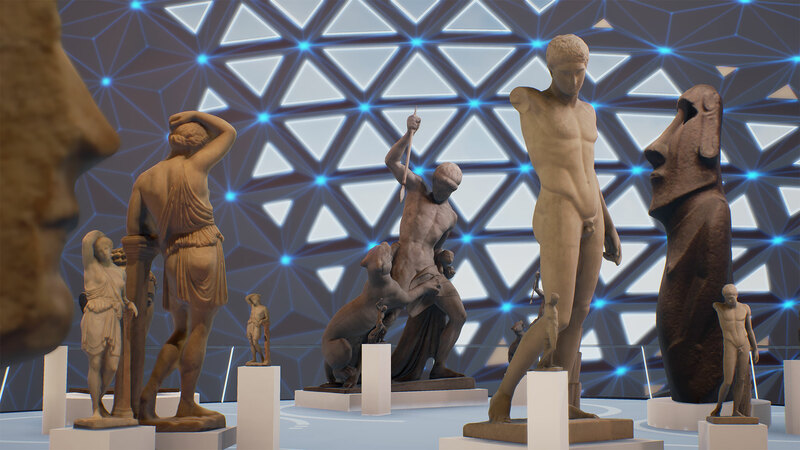 The sculptures are photogrammetric models, on which we can appreciate how powerful is this technique to bring objects from real world into 3D virtual enviroments, especially those with organic shapes as the human body. 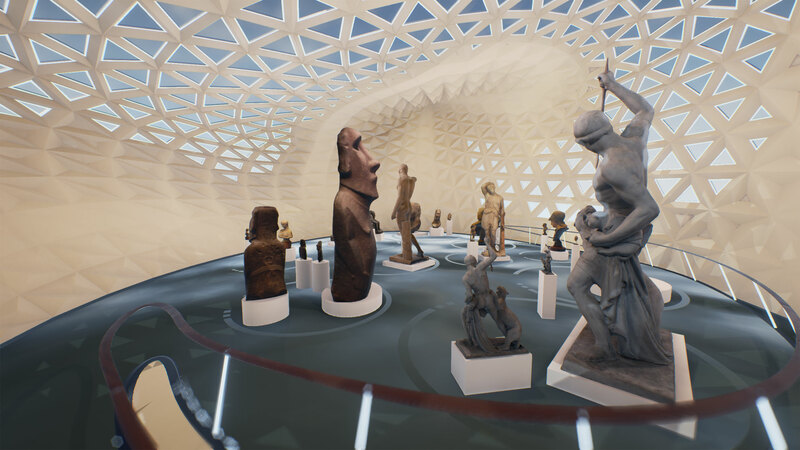 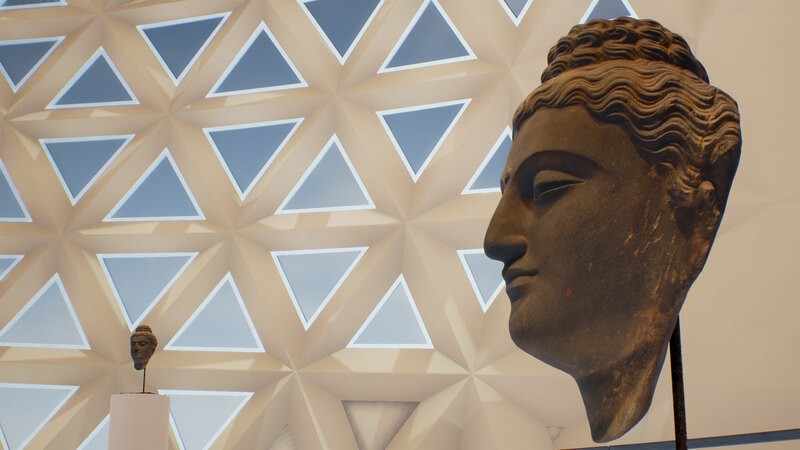 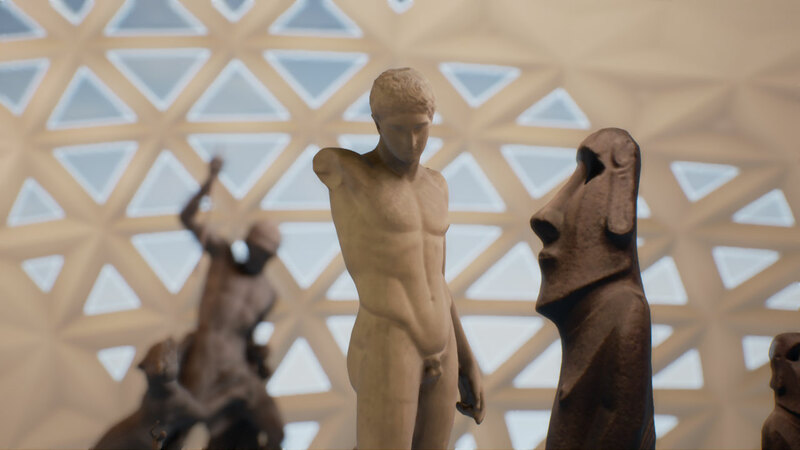 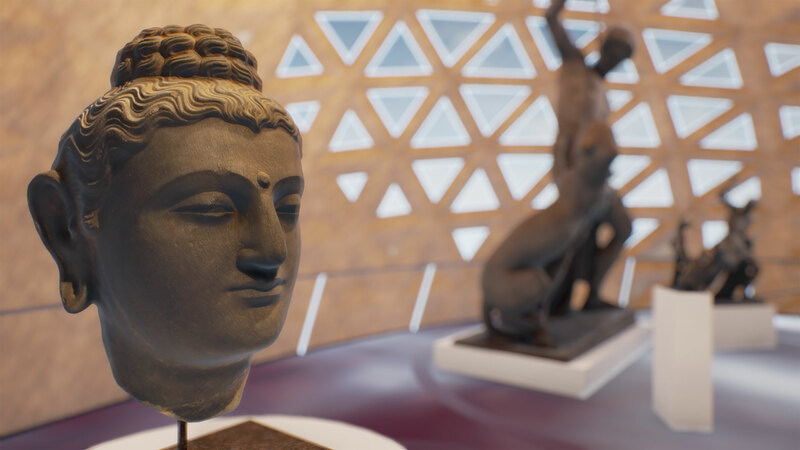 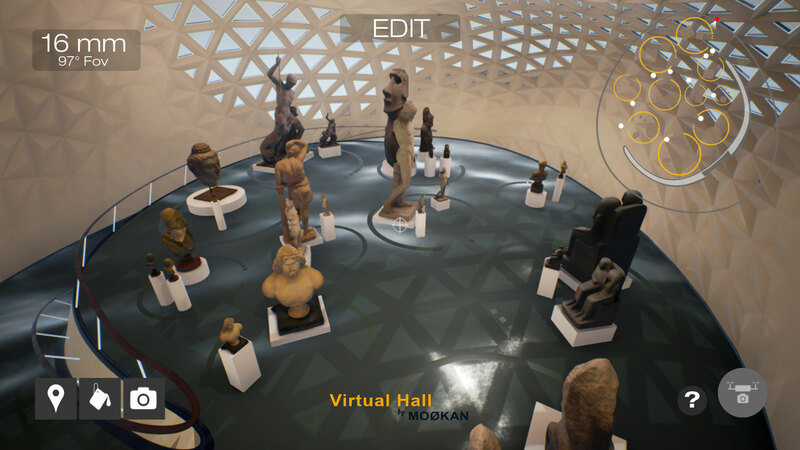 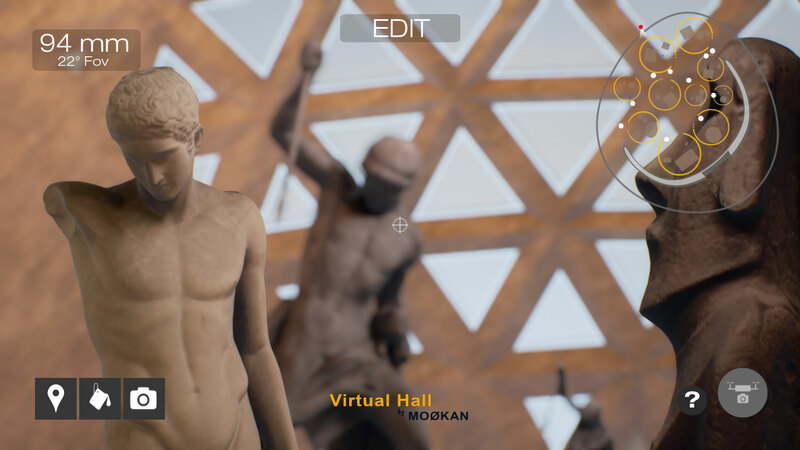 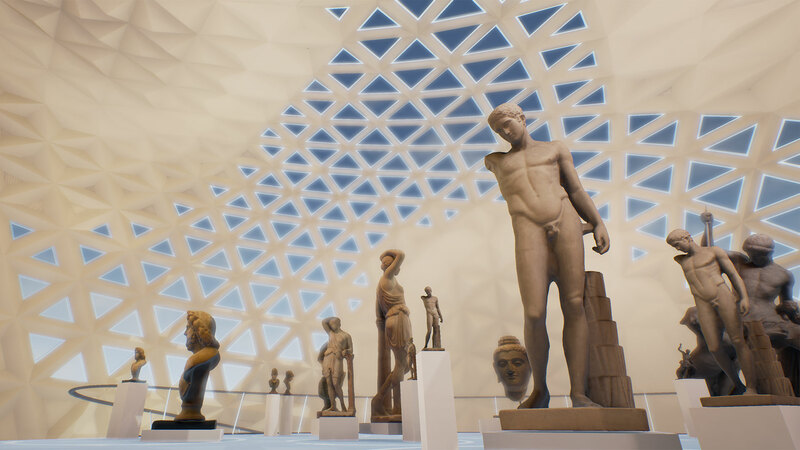 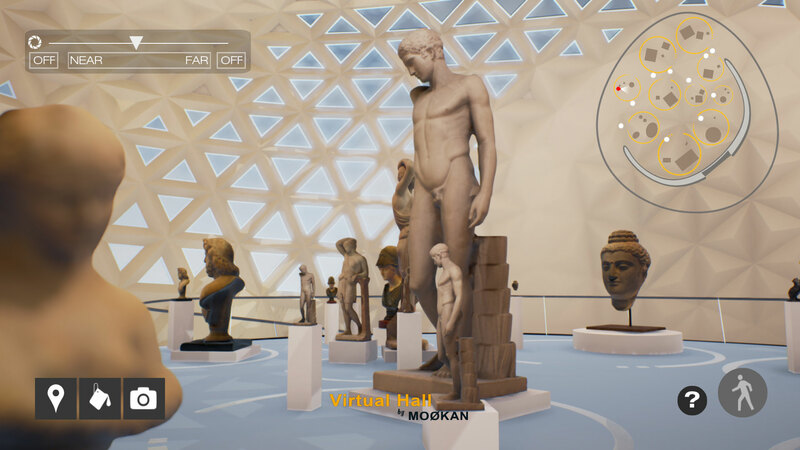 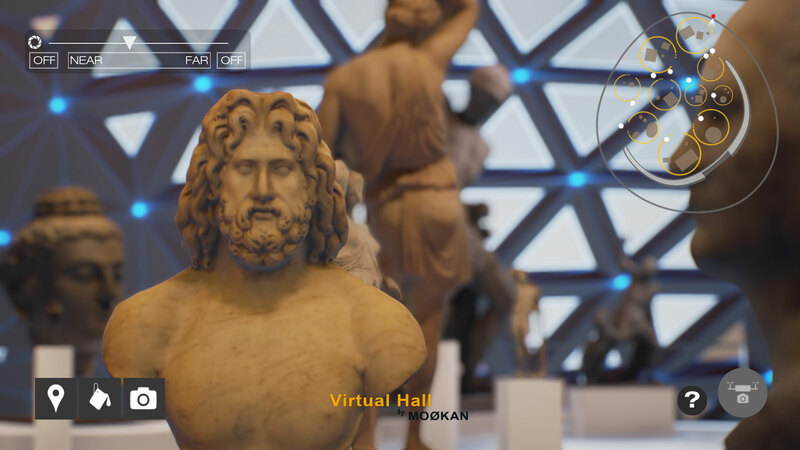 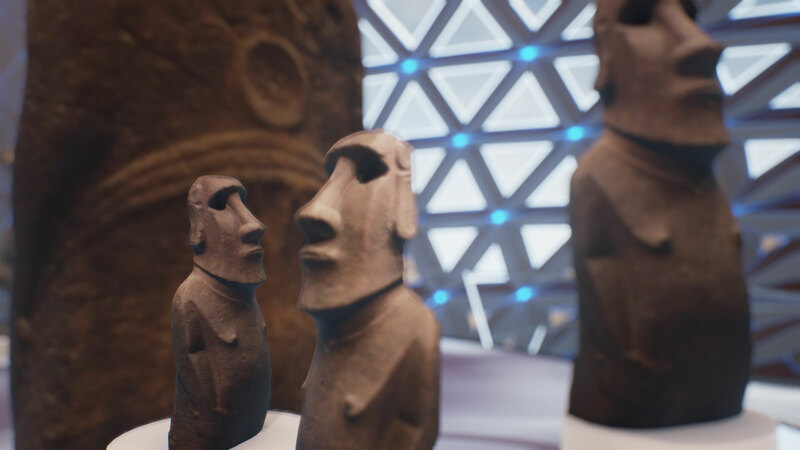 The sculptures are displayed in different scales and positions, taken advantage from a virtual exhibition to show art in a different way than the one we are used to. 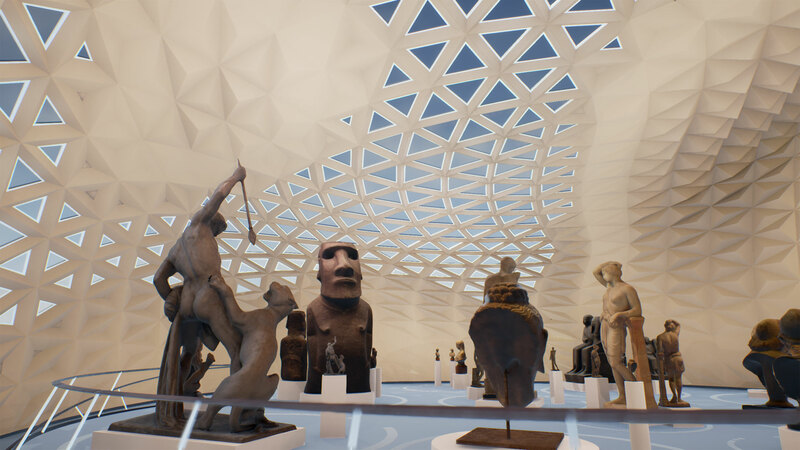 The architecture is based in three elements, the dome, the floor and the fissure in the floor. 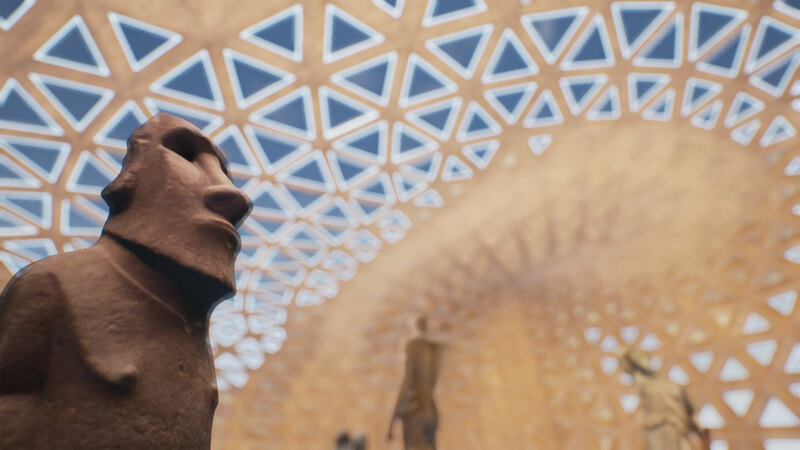 The dome is a parametric surface with a some upper skylights, resting on a continuous topological floor that blends generating two levels. 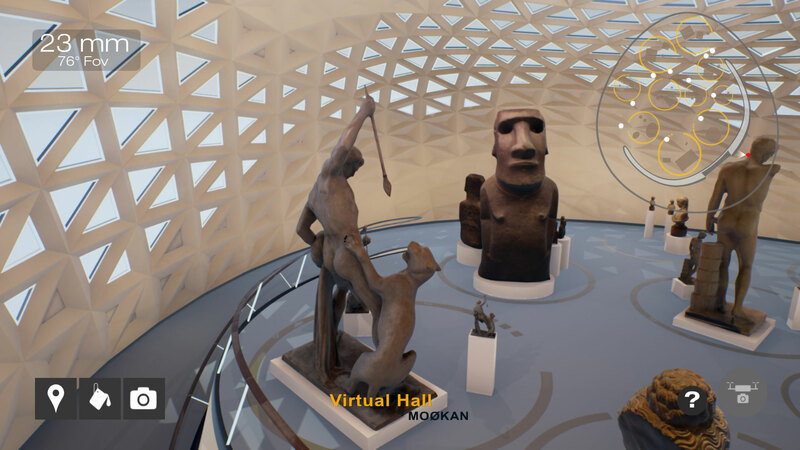 The fissure is the breaking that occurs when the floor blends and on it appears the main entrance in the central area coming from the underground. 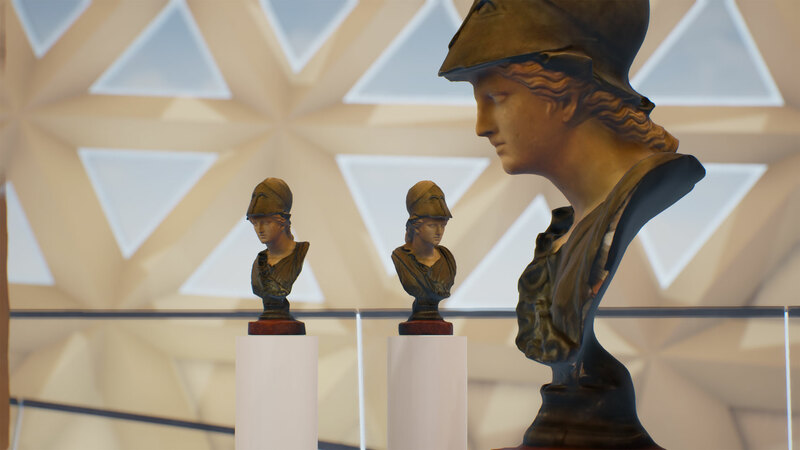 Finally the handrail is a single organic element surrounding the level difference to ease the circulation.